Ilana Hammerman was born in Haifa, Israel, in 1944 and now lives in Jerusalem. She studied French philology, French literature, English literature and history at the Sorbonne, and received an MA in comparative and French literature from the Hebrew University of Jerusalem, where she later studied Arabic language and literature. She holds a PhD in linguistics and literary theory from Bielefeld University, Germany. Hammerman has taught literature, translation and editing at several academic institutions, including Bielefeld University, the Hebrew University of Jerusalem, Free University of Berlin and Tel Aviv University. From 1985 to 2012 she was editor-in-chief at Am Oved Publishing House. At present she is the editor of a fiction series at Achuzat Bayit Publishing House. Hammerman has published documentary books, literary studies and memoirs, as well as numerous essays and articles on literature and political issues. She is also a prominent translator from French, German, English and Spanish into Hebrew. As a political activist, Hammerman has fought the occupation for decades, individually and as a board member of the human rights organization B’Tselem and the Association for Civil Rights in Israel. In 2010, she founded a women's civil disobedience group. 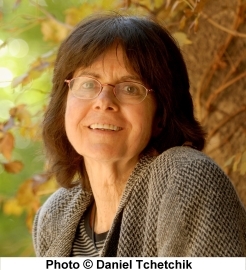 Hammerman has been awarded the Ministry of Education Prize for Translation (1990), an Andersen Honor Citation for Translation (1994), the Tchernichovsky Translation Prize for Lifetime Achievement (2006) and the Yeshayahu Leibowitz Prize (2015) for her public activity against the occupation.